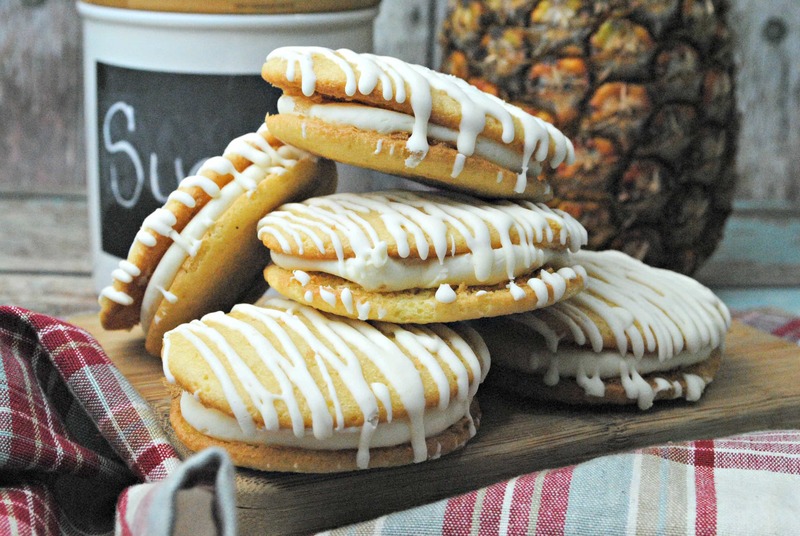 I’ve made homemade whoopie pies before and they are always SUCH A HIT – but Pineapple Whoopie Pies were a new concept to me! How perfect for the summer!! If you are in the market for a sweet treat that incorporates tropical flavors and sunshine appeal, this is the recipe for you. Full disclosure — this is the easy way out. 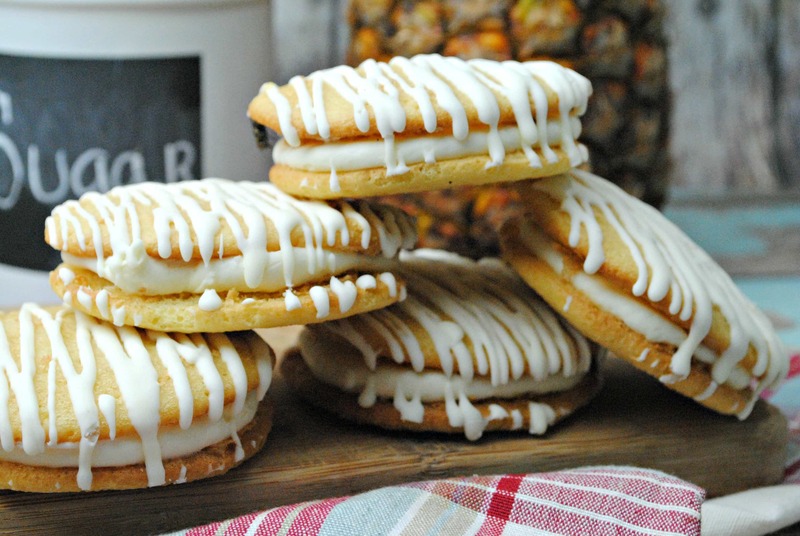 You can absolutely make these by scratch. But mama doesn’t have time for that these days. Scoop some batter with a ice cream scooper onto the cookie sheet, about 3 inches apart.